2018 was quite a year for Dundee. A rising star, the Tayside city was featured in the New York Times, recommended by Lonely Planet guides, and even got a spot in the new Irn-Bru Christmas advert. At the same time, however, another grim reality faced Dundee when the city was revealed by the National Records of Scotland as having the highest number of drug related deaths anywhere in Europe per population in 2017, rising from 38 to 57 – a startling amount for a city of 148,000 people. This earned Dundee a dark reputation as being a drugs death capital. By the end of 2018, whilst the city celebrated its rebirth following the opening of the V&A, the death count had jumped from 57 to 73, another 30 per cent increase and almost double the national average. Disturbingly, one organisation helping addicts in Dundee says there is regularly around one death a week in Scotland’s fourth largest city. Dundee is a tale of two cities. One side is mediated through the Instagrammable V&A and the growing micro-entrepreneurism of Downtown Dundee, an emerging international star juxtaposed with tabloid stories on drug crimes and overdoses alongside photographs of bodies slumped in tenement closes beside used needles. I spent a year living there, watching Dundee’s riverside transform daily on my way to work. It is a city of trade, with a history of working class activism, strikes and matriarchal-led social justice. During the 2014 independence referendum Dundee voted Yes and it wears its radical political heart on its sleeve, so to speak. It is a small city, convenient and compact. People know their neighbours. 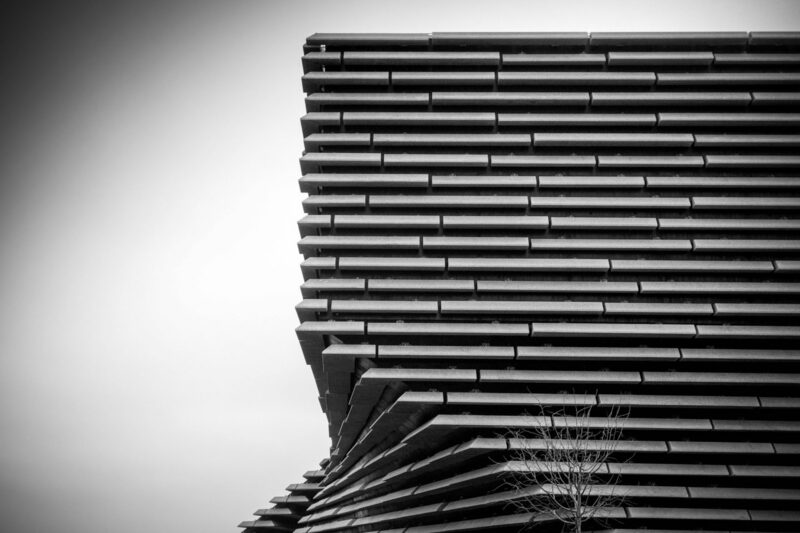 Dundee is a place where artists and designers are setting up home, hyper-saturated hubs of creativity in the centre and to the west. It is a place where street art is publicly funded and busking festivals are hosted by the council as part of a festival of design. On the surface, there is an orchestrated sense of progress from those who hold power and lead the new Dundee vision. There is a common party line on its future. Yet some Dundonians feel left behind by this regeneration while trying to deal with what feels like an epidemic. People keep dying – with figures rising every year – leaving a black reality for those impacted by the deaths to come to terms with. The city’s drugs problem is a social crisis , recognised last year when Dundee City Council announced a review of drug services in response to the staggering death toll. The council invited external experts to work alongside people who’ve been responsible for running the alcohol, drugs and social service units during the last 30 years. This Independent Drug Commission has been running since May 2018. Dave Barrie, who works for Addaction, one of the largest providers of drug and mental health support services in Scotland, leads their operation in Dundee. He explains what he believes is behind the rapid rise in drug related deaths. “It’s a perfect storm of cheap heroin, cocaine and the illicit sale of prescription drugs like Xanax mean we are losing one person a week and, at times, more in Dundee. “Opiate users often use prescription drugs to either enhance the effect of heroin or lessen the withdrawal effects when coming off the drug. But they’re becoming harder to get on prescription so the black market is filling this supply void. “This means the strength of these pills varies massively. One illicit tablet may be the same strength as 10 prescribed tablets,” says Barrie. I first met Sharon Brand in my first few months of living in Dundee. I had delivered a film-making workshop for community group, Recovery Dundee, at a drop-in centre called the Cairn Centre. With my own experience in dealing with the fallout of a loved one’s addiction, Sharon and I immediately became friends, exchanging numbers and arranging to meet up for a chat. Recovery Dundee is grassroots activism at its strongest. Sharon and the other volunteers are people with lived experiences, helping others facing similar problems. In community worker speak, “lived experience” is the polite way of people saying they’ve taken the types of drugs that have killed scores of people. The volunteers know the script because they’ve been reliant on drugs themselves and/or lost a family member to a drug related death – or even worse, experienced both. Sharon describes their roles as recovery activists. She feels that the official ‘services’ (a catch all phrase used by many people in the city to describe health/social support) are more like military-style operations, a treatment service which expects people, already living chaotically due to drug use, to follow strict appointments and provide drug samples in order to get help. She also said to avoid using the word “addict”. Addiction has always been tabloid titillation. But this breeds stigma. And with stigma comes shame. For those affected – ‘named and shamed’ – it is like living in a fishbowl. But these are people with serious problems who need help – fathers, mothers, brothers and sisters. They are victims. Numbers only give part of the story – and as I learn, for those who speak out, they run the risk of being silenced or denied access to what little support they have on offer. Sharon arranged for me to meet Sylvia in a local café near the Wellgate shopping centre, on the edge of city centre. A near-empty white elephant from the 1990s, the Wellgate is a reminder of the last attempt to regenerate Dundee’s city centre. The cafe is a real pie and beans affair, only five minutes from the prosperity of downtown Dundee and its £4 lattes and slick haircuts – this cafe is a reminder that not everything needs to be drastically rebranded to price out people who just want a roll and sausage washed down with a cup of tea. Sylvia’s 15-year-old daughter joins us, and (what I learn to be) Sylvia’s ex-partner. He seems irate as he exchanges post office bank cards with Sylvia, swapping them around and handing her one back. “We had no choice to take him in, the prison called and said he had nowhere to go, and I was his next of kin. What am I supposed to do?” Sylvia explains when he leaves. “I am willing to speak out about anything, you have my word, things need to change here and nobody is willing to listen,” Sylvia says. She is 47 years old and says the NHS caused her addiction after she was prescribed methadone as a teenager. Over the years, she found ways to maximise her access to Valium and methadone, asking for extra prescriptions to cover holiday breaks and even convincing GPs to write prescriptions by door stepping them on the street. It was only when Sylvia’s methadone was sanctioned that she used street drugs like heroin and benzos. I ask her if she has been offered support to get off methadone. 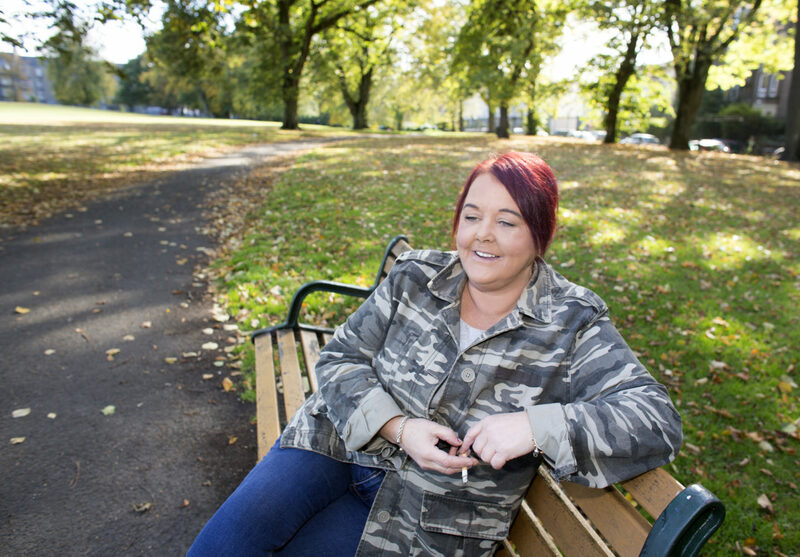 Reliant on prescriptions means Sylvia rarely gets to leave Dundee, needing to check in with a pharmacist daily, so she doesn’t risk losing her current access to methadone and start using other means to control withdrawal symptoms. When this has happened in the past, Sylvia has found herself with no choice but to access street drugs such as heroin. Later, we visit Elizabeth, who lives walking distance from the Recovery Hub and Chemist on Albert Street. Elizabeth lost her son, Billy, in June 2018, a month before the National Records drug deaths statistics were announced. His image watches over us from her fireplace. Her two dogs curl around my feet as we make small talk about the weather. Sharon has been supporting her over the last few months, learning a little bit more about Billy’s final days. It is difficult to know what to ask, most people cannot possibly know what it is like to lose a child, especially in such circumstances. “What does treatment look like when you ask for help?”, I ask. Growing up in the Fintry area of the city, Billy – the second oldest of four – was described as a happy boy by his teachers and also Elizabeth, who raised her family as a single parent. When Billy was eight, he started to get into mischief, she explains, putting on a front so that he would not be singled out by the other boys on the scheme. “He was constantly on guard, keeping up the bravado for fear of violence,” Elizabeth says. Billy was 11 when his life was transformed after a traumatic experience. When playing with friends in a field close to where he grew up, he was pulled into the blades of a combine harvester and suffered a serious injury, leaving him hospitalised for a week. Billy was in and out of jail from the age of 16 – assault, shoplifting, drug taking – each time returning home clean, and with an optimism that ‘this time was going to be different’. As a young father, he was trying to be the dad he never had. But each time Billy returned from prison, he was passed from service to service, always returning to heroin and then trouble started again. After his outburst, a pharmacist barred Billy from chemists in Dundee. If Billy was to get a daily script, he’d need to travel outside the city. To compound his problem, Billy’s benefits had been sanctioned, making it impossible to afford the 45-mile round trip to Perth. Without methadone, his addiction was out of control and Billy returned to street drugs. Within the five months, he was dead. 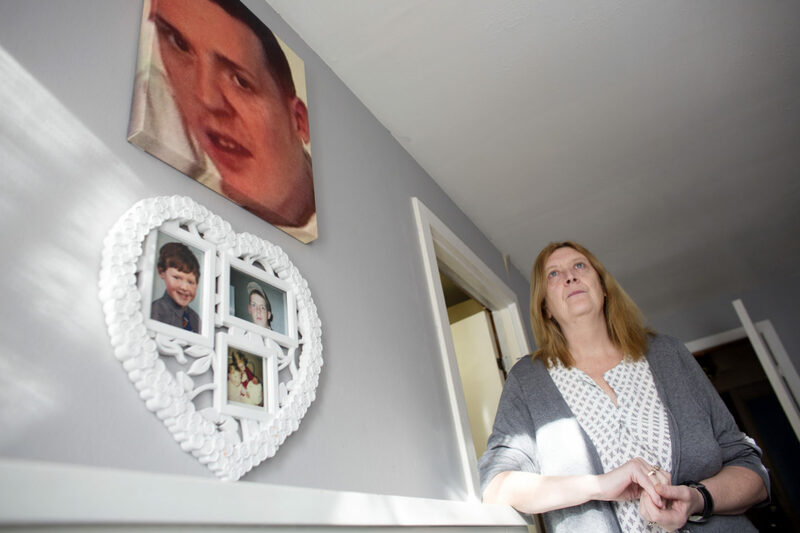 Billy was one of the last people rerouted to Perth to receive his prescription, a sanction practice banned by the new Drugs Commission just weeks after being formed – too little too late for Elizabeth who lost her son. Samantha Fern passed away just over a year ago. Speaking on the phone to Sharon, her mother Liz – who was unable to meet us in person – tells of Samantha’s final harrowing weeks, living them out in a homeless shelter on her own, ill and scared. She described how her only daughter told her she had been to the doctors, bleeding from her bowels and kidneys, begging for professional help. Samantha had been beaten and psychologically abused by a previous partner and after taking drugs had had several stints in recovery. At one point she managed to get clean on her own, the longest period being three years. But without professional help she overdosed on a cocktail of Etizolam and pregabeline on the 23rd of November, 2017. She was 36 years old. Her funeral was well attended, with many of the professionals that Liz recognised from the local drug services. But Liz feels she has had little support from these services since – she has asked but doesn’t feel that people really know what to say to a family member who has lost a child. “Losing a child, the pain is unbearable, it leaves you with an unspeakable void, I used to cry but I can’t even cry now,” Liz says. She is strongly critical of Addaction, the main gateway point for drug and addiction services in Dundee. Liz is now the carer of Samantha’s young daughter, whom she describes as a happy child, but she feels that the abandonment that Samantha felt when the relationship with her father broke down, and the fall out of an abusive relationship, is just a cycle of damage and trauma doomed to haunt families like hers if she cannot access the right professional support. When Sylvia reflects on her own recovery, there is a sense that she has been parked on methadone, not entirely sure of the next stage. 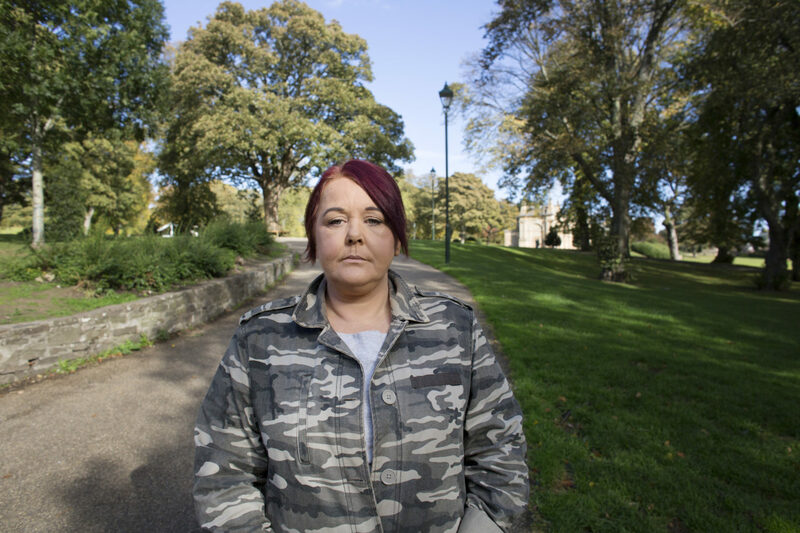 “The GP and the drug partnership here in Dundee have actually said they consider me a success, because they reckon they got me off my Valium,” she says. Sylvia is clean from Valium for the first time in her adult life. Her next step is coming off methadone and she intends to do that with the peer support from Recovery Dundee, which is deliberately autonomous from ‘the services’. “Since I’ve started working with Sharon, I can see a way out of it now, and it worries me because I have never been clean, I don’t even ken who I am, but it is exciting,” she says, her face lighting up as she ponders a life beyond methadone. Sylvia has never worked but has aspirations to be a support worker. She is keen to join Recovery Dundee to help others through her own lived experience. She feels hope, seeing a path in her recovery for the first time. With drug and addiction experts still trying to find solutions to the drug problem, I ask her what she thinks they should do differently. “My view more recently has been this. There should be a two-year programme, to help you come off methadone gradually, plus counselling and the other things out there that people can do to fill up their time whilst they go through this process. In response to these comments, Addaction’s Dave Barrie reminds us that other Scots cities face similar problems to Dundee. “Glasgow, Edinburgh, Aberdeen and Fife have all seen similar increases in drug deaths,” he says. Dundee is still the only city in Scotland that does not have a single rehab centre dedicated to drug addiction. At the end of 2018, the Scottish Government promised to wipe the debt from the troubled Tayside NHS health board, in an attempt to get more support into the area. But what is on offer beyond methadone, and why are people like Sylvia being left to collect her prescription, 30 years on? The impact of losing a family member to drugs abuse spreads over generations, with lasting trauma for those who survived by them. Grassroots communities like Recovery Dundee are beginning to plug the gaps between the medicalisation of treatment – through prescription drugs – and more holistic mental health services that allow people to build connections and support networks. Looking to Dundee’s future, how these organic movements are supported and allowed to flourish will be a reflection of how much Dundee really is on the rise. Research by Sharon Brand who also participated in Storylab. Photos by Angie Catlin. This article is part of The Ferret’s 2018 Storylab programme, which offered new writers the chance to develop a story from the seed of an idea through to final product, with help from our experienced team of journalists.